Main features of Open Cart includes No monthly fees, no catches; just an effective and customizable platform for your new ecommerce store. In OpenCart, all the important information available at a glimpse. You can get a full overview of what is important with total orders, sales, customers, people online, sales analytics and many more widgets. In order to successfully organize an online store you only need to cooperate with many people, each performing different roles. OpenCart allows you to set advanced user privileges and separate access for user groups and users. 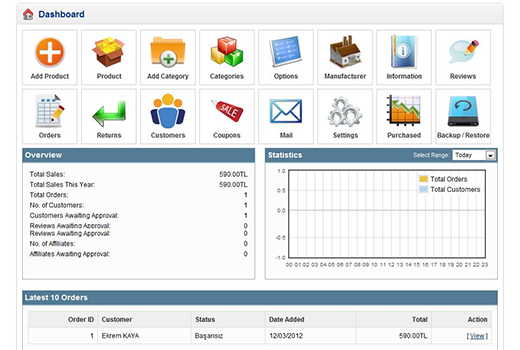 You can also manage multiple stores from one admin interface. You can set products to appear on different stores very easily. You should choose a different theme for each store to make it more presentable. 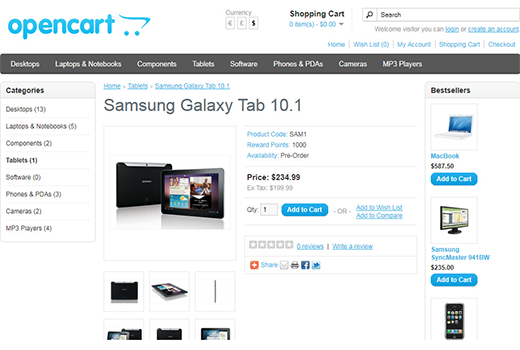 You can also localize store settings As well as set per store product prices.